JOPLIN, Mo. 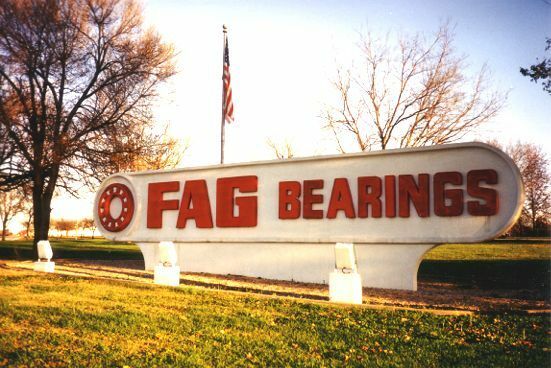 — The state will provide more than $900,000 over the next three years to train workers at the FAG Bearings Corp. to improve their technical skills to coincide with a $41.1 million capital investment in new machinery at the Joplin factory. Gov. Jay Nixon made the announcement on Friday after taking a tour of the plant owned by Schaeffler Group USA, which has operated in Joplin since 1970. Nixon said the training funds will be used in connection with a program that is being developed through Crowder College at Neosho. “From day one, we’ve focused on creating jobs and growing our economy by investing in our work force and holding the line on taxes,” Nixon said. Greg Tinnell, vice president of human resources for the company’s North American division, who introduced Nixon to workers at the plant, said the Joplin plant has benefited from the company’s “ongoing partnership’’ with the state. Alan Marble, president of Crowder, said most of the training will be done at the plant. “We expect they will get some very intricate new equipment, and we’ll probably get some experts to come in and help with that,’’ Marble said. “We will do whatever they need and coordinate all of that for them with customized training through the Missouri Department of Economic Development. In 2009, the company announced that the push to promote wind energy would generate new jobs and a major investment at its plant at 3900 S. Range Line Road. The company received approval for $978,983 in Enhanced Enterprise Zone tax credits from the Missouri Department of Economic Development in connection with the creation of the new jobs and the investment. The company is planning to manufacture large ring bearings for use in wind-energy applications. The new bearings will be 40 inches in size and will be used in the gearboxes of wind-powered generators. The bearings are much larger than anything the plant has ever produced. To assist Schaeffler Group USA in moving forward with its expansion, the state of Missouri has authorized job training funds to help train 250 Schaeffler employees with improved technical skills, advanced automation, safety practices and leadership skills at the Joplin plant. Nixon said these funds are made available by diverting a portion of the company’s regular state withholding on the 250 jobs at the Joplin site. Nixon said the investment will help Missouri increase its exports. The state’s exports were up 6 percent during the first two quarters of 2012 compared with 2011, a year when the state of Missouri set a record with $14.1 billion in export sales revenue. The Schaeffler Group is a leading global manufacturer of rolling bearings and linear products, as well as a supplier of high-precision components and systems for engines, transmissions and chassis applications to the automotive industry.